Not sure what this was all about. 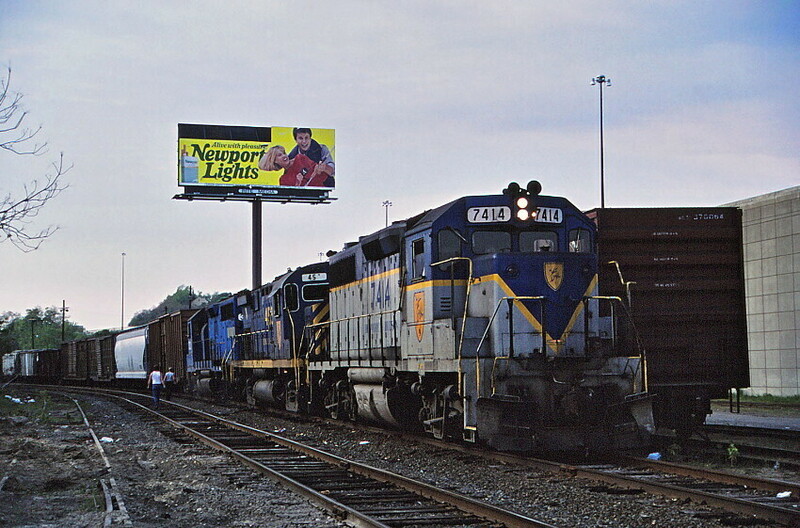 The B&M yard was usually the territory of the GP7's and 9's. Anyway the billboard advertisement kind of dates this time period. This is near where Routes 190 and 290 split. Photographed by Bruce Macdonald, May 17, 1987.